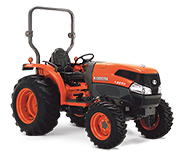 From maintaining your property to commercial landscaping and small farm operations, the Kubota mid-sized L Series tractor range offers powerful performance, outstanding versatility and exceptional economy year round. 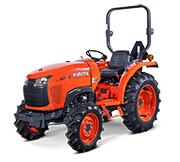 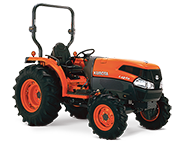 Well renowned for their reliability and fully backed by Kubota’s Australia wide service support network, you are in capable hands with an L Series tractor, providing you with years of dependable and hassle free use. 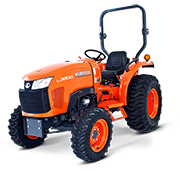 Available with performance matched front loader, backhoe and a variety of attachments to suit every application.